Fisheries and Aquatic Resources Development Minister Mahinda Amaraweera has granted permission to release the rest of the Indian fishermen in Sri Lankan custody. Fisheries Ministry Spokesman said that Sri Lankan government recently released 109 of the 129 Indian fishermen who were arrested on charges of poaching in the country’s territorial waters. The Minister granted permission to release 20 fishermen. He said the Indian Government recently released six Sri Lankan fishermen who were in their custody and another six Sri Lankans currently remaining inr Indian custody and two of them had been arrested on drug trafficking charges. Parliament approved the amendments to the Foreign Fisheries boats Regulation Act to increase fines on foreign vessels poaching in the country’s waters”. 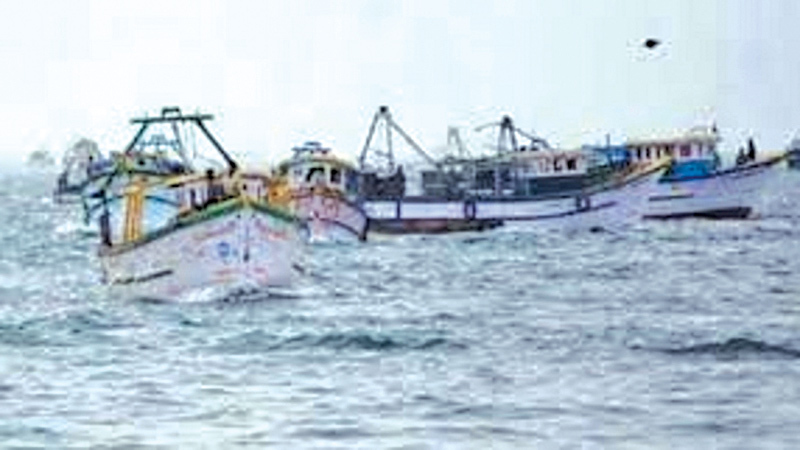 The Act aims to prevent illegal fishing activities in the Sri Lankan waters and protect the fisheries and aquatic resources of the country’s coastal belt. The fine imposed on foreign fishing vessels that were seized has been increased under the new amendments. According to that the current fine of Rs 1.5 million has been increased to a maximum of Rs. 175 million. The relevant legal action on the seized boats will be completed within a month, he added.